Doug is technically competent, work-committed, and places high value in customer service and problem solving. As an account assistant, Doug applies over 14 years of IT-related experience as well as an extensive knowledge of recycling and organics, attained through his work as IT Manager and Administrative Coordinator with the Professional Recyclers of Pennsylvania (PROP). Doug’s current roles involve hardware and software management for Wanner Associates, providing support for account executives, as well as serving as Program Manager for PROP. 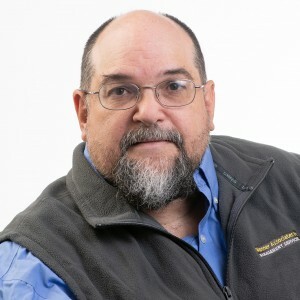 Using his extensive IT knowledge and unique skill set, combined with his hands-on approach and management expertise, he provides the best possible solutions to a variety of IT-related problems. Doug is a certified recycling professional through PROP’s certification program, has been a member of the International Webmasters Association (IWA) and HTML Writers Guild, National Association of Photoshop Professionals (NAPP), a Life Member of the North American Fishing Club and a Member of Trout Unlimited (Penn’s Creek Chapter). Doug volunteered as a Board Member of Pennsylvania Association of Environmental Educators and received an award for Outstanding Contribution the Environmental Field (non-teacher) in 2008. Doug is a graduate of Juniata College with a BS in IT, and has been with Wanner Associates since July of 2016. When Doug is not working, he is either cutting wood, building furniture, fishing, hunting, working on projects around the house or spending time with friends.